When Pokémon X & Y was released last October, fans were given the opportunity to experience 3D battles in the main series for the very first time – channelling the spirit of the Pokémon Stadium series, all bar the announcer. Pokkén Tournament – a fighting game spin-off by Bandai Namco – was yet another recently announced Pokémon title that also gave off Stadium vibes prior to its official reveal. Considering neither of these games actually had any direct link to the Pokémon Stadium series in the end, the question now is – what has happened to it? We really want to excite people and surprise them with new things they weren't expecting. The original games, of course, were 2D and in black and white, and seeing them in 3D was a stark contrast... it was kind of a huge surprise for players. Nowadays, the Pokémon are already in 3D, and I'm not sure that better graphics would be quite as impactful or impressive. So in order to come back to the Stadium series, I think we'd need to have some sort of new invention to justify it. It appears that being a standalone battle simulator is no longer enough to spur on the development of the Pokémon Stadium games. 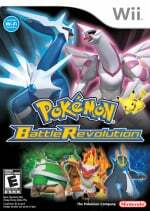 The last time a game in the style of Pokémon Stadium was released, was Pokémon Battle Revolution in 2006 for the Wii, featuring Generation IV Pokémon from Diamond & Pearl. Originally, the Stadium series began in 1999 on the Nintendo 64. What are your thoughts on these latest comments from Game Freak about the Pokémon Stadium games? Are you concerned for the future of the series, or would you agree a battle simulator for your lounge room is now redundant when 3D battles can now be experienced on the go, courtesy of the 3DS? Fair enough, I thought having Pokemon in 3D on a handheld pretty much defeated the purpose of having a Stadium game. If it was something more than just battling and minigames, closer to a full Pokemon game it would be more justified. I can understand that the amount of work involved must be astronomical, but given the 3DS & Wii U's excellent connectivity it's something I personally would really love to see. Perhaps if they found a new way of going about the games rather than a basic HD battle system it would be worth it, but I'm not holding my breath. Anything Pokemon related on Wii U would be a good thing. They are right, 3D pokemon on 3DS amd the decline of local multiplayer pretty much eliminated the need for a stadium game or a full pokemon game. They should just do spin offs and such on the Wii U and future home consoles. Just give me Pokemon Snap 3DS and I'll be a happy camper. I battle pretty seriously and have put a lot of hours in breeding. So, realistically, the Pokemon Stadium style is already what I do. Take your time Gamefreak. Put that next Staduim game on the WiiU2 or whatever you wanna do. A new Colosseum game would be kind as well. I love how the games had an emulator for the Gameboy games, if you plugged them into the whatsit accessory, it played them on the big screen! Let's be honest, it's taxing enough for them to have modelled and animated 721 Pokémon, not including different formes, gender differences and mega evolutions, just for the mainstay 3DS installments. To do this all over for an HD Wii U title would probably be so expensive and such a risk just for a battle system, that they'd be in the red just for trying, and the sales would most likely not be enough. Pokémon Stadium HD. That would be a big comeback. Very understandable reason. Making a Pokemon Stadium game in this day and age would be redundant unless it has some sort of fresh re-inventive idea. "When Pokémon X & Y released last October"
Those games did not release. They were released. Stadium? Meh. I need a new Drill Dozer for 3DS. I want to see a Pokémon game on a more powerful hardware. And I don't want hear about Pokémon Rumble U, that is a terrible beat-em-up game. If not a Stadium game then an RPG game. I'm a huge fan of Pokémon, been since Gen 1, but the series really need to evolve further. That MMO Pokémon is never gonna happen anyway, then an RPG adventure for Wii U. Or Pokémon Snap 2. The purpose is for it do be on a big TV screen with an announcer voice. To have different battle modes, win battle credits to spend on items to send back to your game. To have "rental" teams so you can have battles with unfamilliar Pokémon in order to try new strategies out. There are lots of features of the Stadium games that are not in the regular handheld games. Makes sense to me. However, it would still be cool to play with my "Pocket Monsters" on the big screen. Just bring Pokémon Snap, Pokkén Tournament and maybe a multiplayer Pokémon Mystery Dungeon to Wii U. That would sell the console like crazy. I do agree that the Stadium series doesn't bring anything new and sort of has been fused with the new 3D style of handheld Pokémon games. But it was a sort of Pokémon Party game with fun offline multiplayer. Wouldn't be that much work just releasing such a game every 3-4 years for like 30-40 euros/pounds/dollars. In other words "Please stop asking us about it. Thanks." -Game Freak. The Stadium Games always felt... Not needed, they were great and stuff, but the 3DS power its enough for it. come on! we need a new pokemon stadium game!! "So in order to come back to the Stadium series, I think we'd need to have some sort of new invention to justify it." @PvtOttobot "but ONLY if it had incredibly beatiful HD models, and I know, by looking at Nintendo's Wii U games so far, that they aren't ready for that!" What da fudge are you talking about? I'm good with any possible Pokemon games for the Wii U. From Pokken Tournament to Hey You Pikachu. I wouldn't call that comment saying that they'll never make one, but that they will need a definite change to do so. I would love to connect up my 3DS to the TV and play Pokemon battles on my 55"... and the mini games were also epic and important. I get that it would probably be a good bit of work but barring that the increased power of the wiiU could make a huge difference. You could have beautiful effects for the attacks, make physical attacks look like they're actually making contact, have the pokemon running around the stadium instead of standing still. You could have an announcer that could to some degree react to the battle itself. Sorry gamefreak but no we have not reached the absolute ultimate perfect iteration of pokemon with nothing left to achieve. Just tell us the truth you don't want to make the game. But I'm more going to miss the Gym Leader Tower. I'm not sure why they've never had that anywhere besides the two stadiums. Battle Revolution always felt really empty to me because they didn't have anything like that and also didn't even have full rental pokemon choices. @HypocrisyNews Have you SEEN smash bros!? Bleurgh! Now imagine the amount of fighters times 20!! The quality would be so bad!! its quite simple, build a stadium game with online battles again, add some minigames, allow access to pokemon bank, add some new super training games for EV's, new games to build friendship levels, a battle tower, bam. Well, if the newest games are in 3D, why not make the Wii U Stadium game in black and white 8-bit pixels? I'm sure that would provide ''a stark contrast'' as well. Colosseum and gale of darkness were wonderful gritty dystopian Pokemon settings that haven't been matched by a poke game since! There was great potential in those games. The Pokemon franchise needs this for freshness! I have a bunch of friends who were hesitant to move on to Black and White because they wanted to keep using Battle Revolution for their tourneys. I can understand what Masuda is saying, but there's something to be said about everything being displayed on the TV somehow. Even if we don't get another Stadium it would be great to have some way to do that. People do want it. @Jahir you know that actually brings up an interesting point. The reasons are irrelevant but gen 1 pokemon holds a special place in a lot of people's hearts. I forgot if stadium 2 had it but the first stadium for sure how the controller plug in for the n64 that allowed you to play your GB pokemon game on the tv. It would be quite cool if they emulated all of that. Put stadium 1 up on the VC with a full version of the original GB pokemon red and blue and statdium 2 up with gold/silver(pretty sure stadium 2 was gen 2 been a while). That allows you to catch and train all your own pokemon and move them into the stadium games so you can get the full experience. I get the feeling people would be jumping all over that. @Jetset Mate, I ain't talking about the Wii U, I'm tatalking about the devs! Of course the Wii U can hanle it. I mean that the amount of time to create these models would delay the game considerably and so Nintendo would just make some pretty standard HD upgrade models. This is exactly what I've been saying all along, there's absolutely no point in having the Stadium games anymore because XY already does their job gameplay wise. Now what they really should do is make another console adventure game like Colosseum and XD, but since Game Freak is stupidly stubborn about Pokemon being a handheld only experience, we're probably not going to see something like that until crossplay becomes a thing (hopefully on the 9th gen console). @EarthboundBenjy All they need to do is add a Battle Frontier type place and that covers pretty much everything you listed except battling on the big screen and the announcers isn't really enough to justify it. Guys, a lot of you are missing his point. The Stadium series is essentially a stripped down game with no adventure mode, it's like if they made a full $60 game out of the Battle Frontier. Why would you spend all of that money when you can get all of that plus much, much more on the 3DS for $40? There needs to be something gameplay wise to justify its existence, they don't just want to put it on the Wii U for pretty HD graphics. @Bolt_Strike well the games also don't necessarily have to be $60. The stadium games did tend to have a fair bit of challenges and stuff too. It could be a $10-20 download only thing that just allows storing a team to battle in hd against AI's or online. You could even have a few custom AIs and then a random generated AI of various difficulties that would just randomly build a pokemon team based on some parameters, that would keep people busy. The could of course build in challenges like the various endgame challenges in the pokemon games themselves. You could have a pokemon simulator that lets you just make a pokemon without going through the breeding, and EV training process so you can test out different teams in real battles. There's nothing quite like spending days breeding a team only to realize there's a fatal flaw. For that matter if it was download only you could even have the game require a pokemon bank subscription. The game would get automatic updates even continuing across console generations so it's kind of your one stop pokemon battling game. There's a lot of ways they could go with it and I think nintendo and it's partners tend to dismiss ideas far to quickly. Kind of like how they dogmatically refuse to put a proper pokemon adventure on home console. Why are you afraid it will actually sell? So... Snap is still possible? @Yorumi I think it would be better as a $10-$20 eShop game from a consumer standpoint, but I'm guessing they think it would be too big and expensive to go that route. Those are good ideas, though. @WitchSugoi They said something similar about Snap, actually. They don't want to bring it back unless they come up with new ideas for it. But in that case I don't think it's necessary simply because the game has been on hiatus for much longer and there's no other game like it. @Bolt_Strike yeah they're probably figuring it's not cost effective. Though to some degree I do question the cost. HD is more expensive but they still had to make x/y and now oras that they sell for $40. Cell shading is also not as expensive to do as realistic models. Oh well what's done is done. 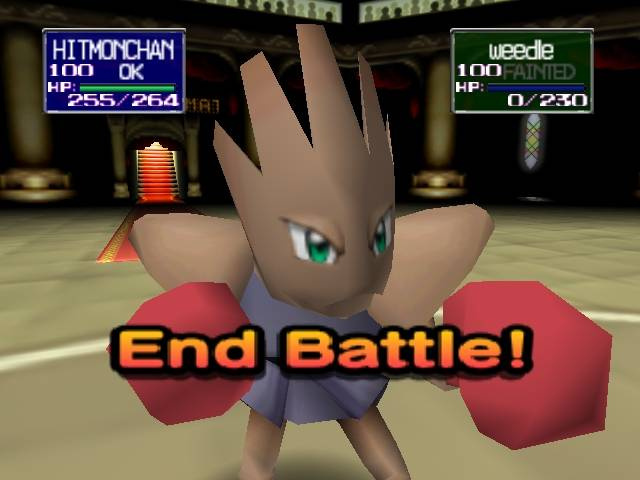 I wouldn't mind seeing a more update version of Pokemon Stadium or Even battle revolution. I can see where they're coming from, considering the Gamecube games didn't do very well at all, which is disappointing since those were some of my all-time favorites in the series. They don't need consoles to do that kind of thing anymore anyway. I don't see why they don't at least make a companion app for 3DS that has that level of challenge, especially since Pokebank makes transferring Pokemon a breeze. A full-blown DLC battle frontier that isn't restricted to what they have time and space to squeeze onto the cart. I have been wanting another pokemon game like coloseum and gale of darkness. This news upsets me. Guys, This pretty much means that until PokeHolograms become a thing, Pokemon Stadium is cancelled. I agree with the Colosseum posters....The core handheld games have catered to everyone, to the detriment of story (it's kept the same basic formula....young kid, 8 badges, become the champion....and become much more light-hearted in tone). To have another grittier teenage-targeting RPG that can throw a nice story into the mix as well would be a welcome change of pace at this point. I think that Pokkén Tournament is a proper evolution of the concept. This would make perfect sense...if Nintendo didn't have the massively underselling WiiU as it's current console. Anything Pokemon related especially a game tied to the main series that sells in the millions would boost WiiU sales considerably. If they're going to make a new pkmn stadium or revolution game, they obviously will need to put in all 721 pkmn including mega evolutions. They should make a new area like or similar to poketopia. Nintendo could call this "Neo poketopia" for all I care. The game should constantly update and have better graphics. Character customization and battle passes should be added. This should also be an adventure game where you could explore the area. You should have the ability to talk to people online. If it's possible you should get to have your pkmn walk with you. While online, you should have the ability to meet with in different people and hang out with them in places like stores. Weather conditions that are apart of the colosseums would affect battles. The game should let you participate in live competitions. You could have the ability to sit in the audience of the colosseums and watch battles online in real time especially during live competitions. The game should include super training. One of the colosseums should be inside a mall. A special colosseum should for world championships. When a pkmn dodges attacks you should actually see them dodge. These are just my ideas.